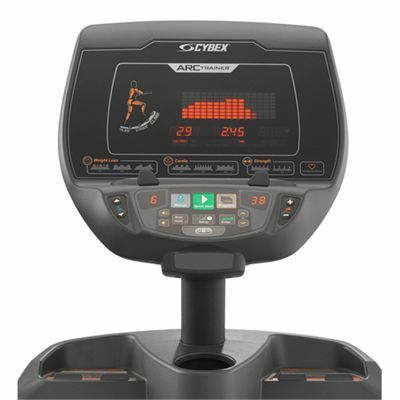 The Cybex 625AT Total Body Arc Trainer has been supplied with LED display that provides detailed feedback on time, distance, calories, calories/hour, METs, incline and resistance level, watts, strides per minute and heart rate including multi-colour indication of heart rate range. Lower display indicates resistance and incline levels. 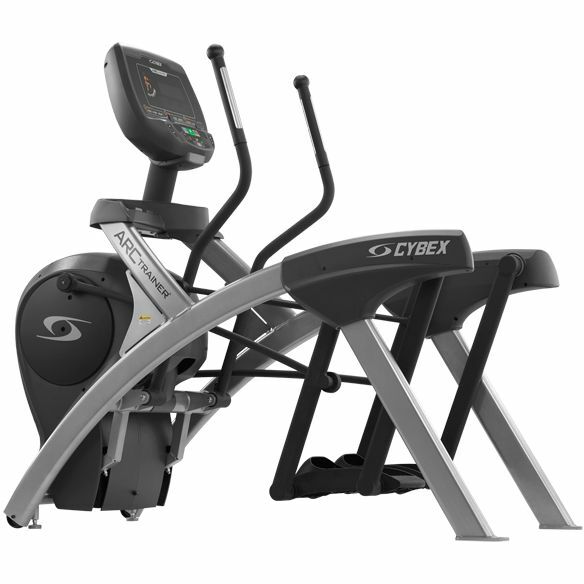 The Cybex 625AT Total Body Arc Trainer offers wide range of motivating programmes that allow you to select the programme based specifically on your goals. The programmes include: one manual, three weight loss, three cardio, two strength and one Heart Rate Control. The programmes have 10 levels and control both incline and resistance. Heart rate measurement with the 625AT Total Body Arc Trainer is easily achieved using the integrated pulse sensors in the handlebar or, for the ultimate in accuracy, a chest belt with optional built-in receiver can be used. 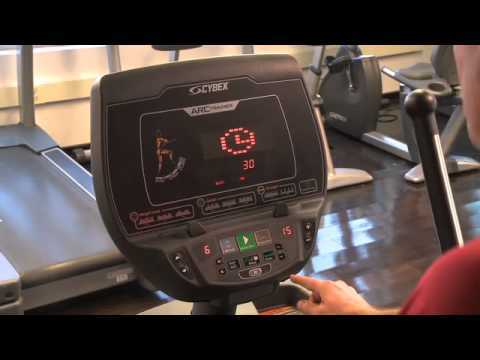 The machine utilises the Arc pattern of motion that allows the hip and knee to move synchronously while the foot stays under the knee reducing joint pains and providing a more comfortable workout than elliptical machines. It is supplied with long input arms with more linear path versus the shorter handles found on cross trainers. This near linear path reduces painful wrist articulation and allows you to get a better upper body workout and maintain good posture. 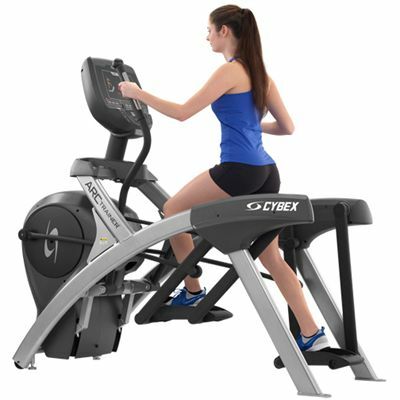 for submitting product review about Cybex 625AT Total Body Arc Trainer.